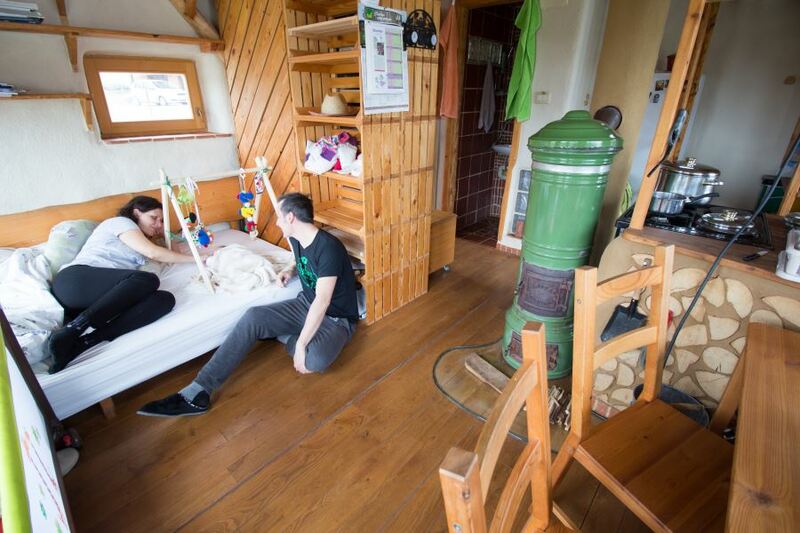 Slovenia offers many special sleeping places for families with babies. Do you agree that despite becoming a parent traveling should not stop? During the maternity leave which in Slovenia lasts 1 year we explored different parts of Slovenia and we slept in unusual accommodation facilities. 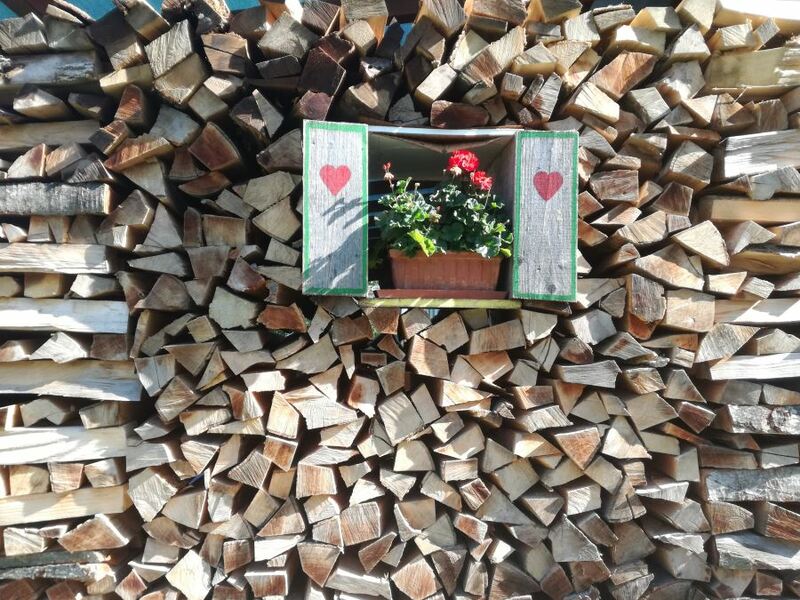 Zidanica is a traditional cottage typical for the Dolenjska and Bela Krajina regions. This idyllic cottage with a wine cellar (you get a key for a wine cellar so you can fill your glass as many time as you want!) can be found on small hills surrounded by vineyards and offers magnificent views of the wine-growing hills. 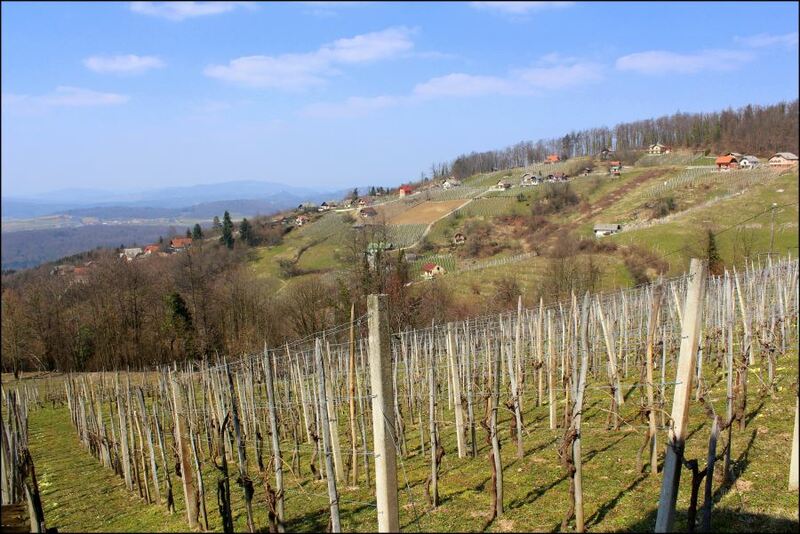 Ptuj, the oldest Slovenian town with rich wine-growing tradition, hosts Glamping Wine Barrel Village. 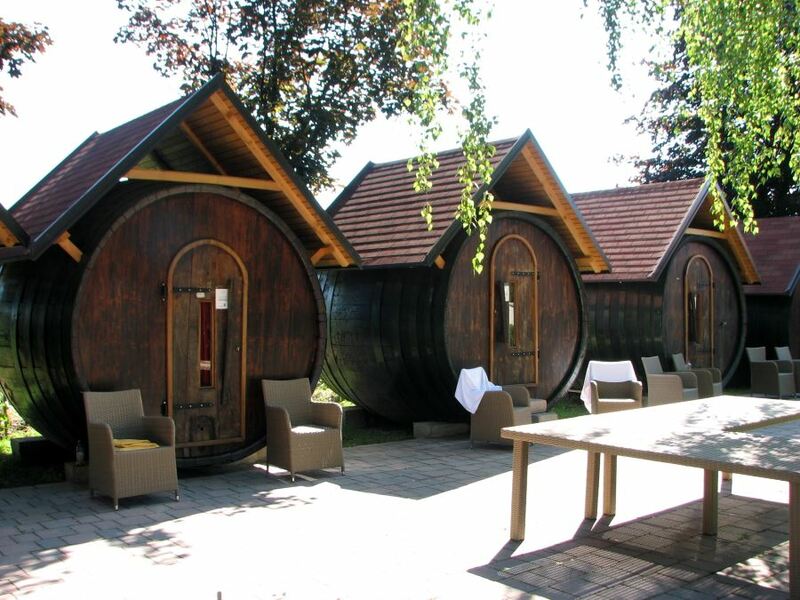 Imagine sleeping in a wine barrel and sipping a glass of local wine. Slovenia is a land of beekeepers. I was surprised to find working apiary in Soca valley (only 50 minutes away from Herbal Rooms Homestay) that offers a sleeping facility in the bee house. Sleeping in the apiary, watching the bees through the glass, breathing the aerosol air directly from the beehives and listening to the buzzing of bees was truly one of the most unusual accommodations so far. 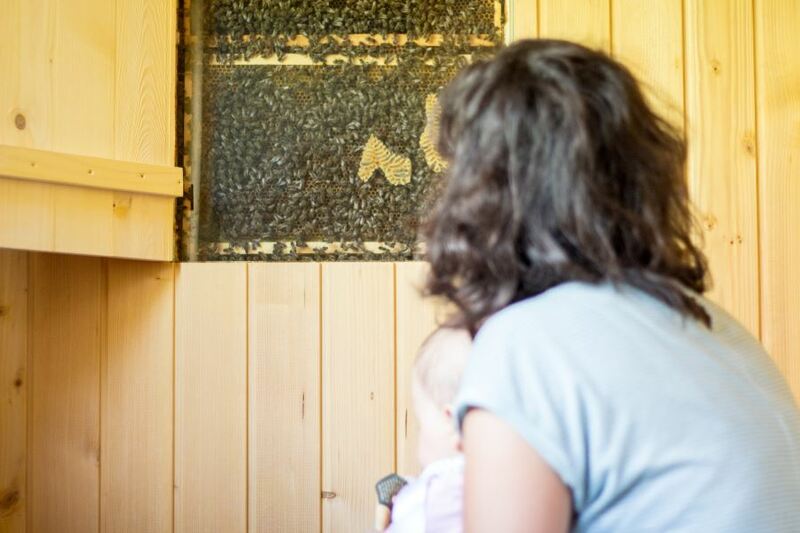 Lucija was amazed by sitting on the glass floor and watching the bees coming and leaving from the bee house. Perfect alive cartoon before going to bed :). And I treated myself with a honey massage to detoxify my body. Celtic house, made out of wood and covered with a straw, offers direct view on green Kolpa river, the warmest Slovenian river. Peace, relax and enjoying in the midst of green nature. Here you can be one with nature. Slovenia’s countryside offers unlimited sleeping options. One of them are farm stays. These farm homes in idyllic green and peaceful environment welcome families with babies with open hands. 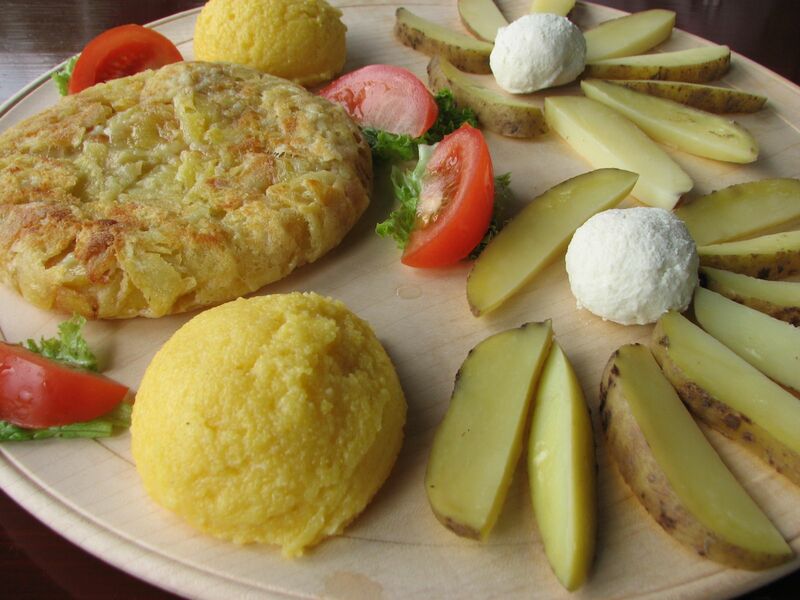 Home-cooked local meals, listening to the bird singing and your beloved is all what you need. 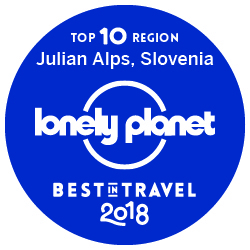 Slovenia is a land of natural treasures (it is one of the most eco-friendly touristic destination on the planet according to National Geographic) and talented people. One of them is for sure Luka. He built a house (only 20m2!!!) by himself using only natural materials (straw bale, clay and wood). Luxury of simplicity go hand in hand. »You can huff and puff but you won’t blow these straw house dawn. The first little pig was right – straw house is a smart idea!”. Little Pig Straw House can be found here. 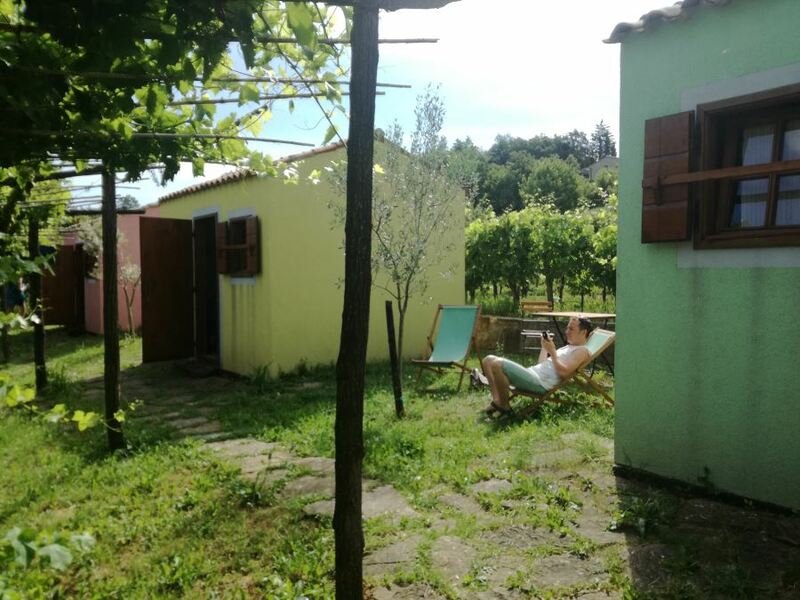 In the middle of Slovenian Istria countryside, on the hillocks of Koper hinterland, situated in beautiful natural surroundings amidst vineyards, 3 houses of Slovenian Istria dedicated to BreadLady, MilkLady and EggLady can be found. No water and electricity for your perfect retreat from the everyday city ‘hustle and bustle’. 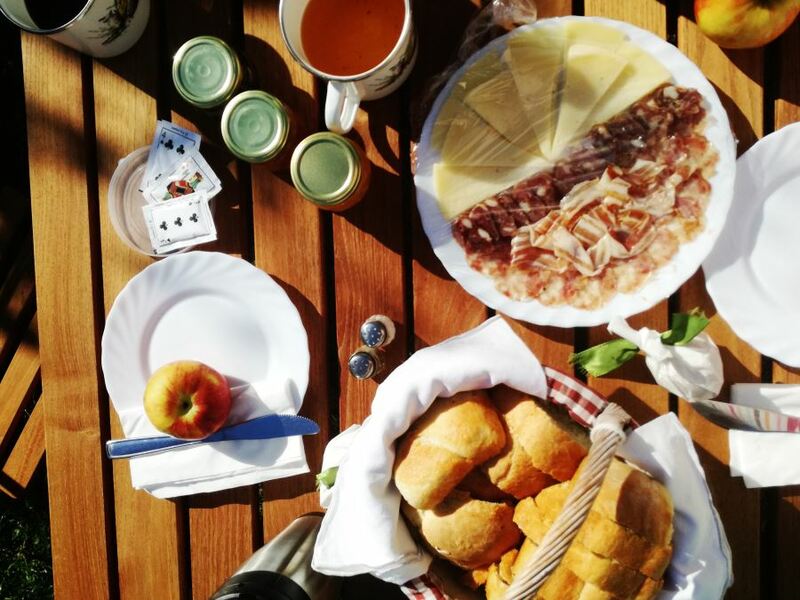 A lavish local breakfast made exclusively of home-grown goods is a must. Last but not least, Herbal Rooms Homestay in Soca village is baby friendly accommodation. In 2018 we hosted more than 5 families with babies and kids. Lucija loved playing and exchanging toys with other babies. Book your herbal room. They all sound very good even if you don’t have children with you. Slovenia is wonderful!